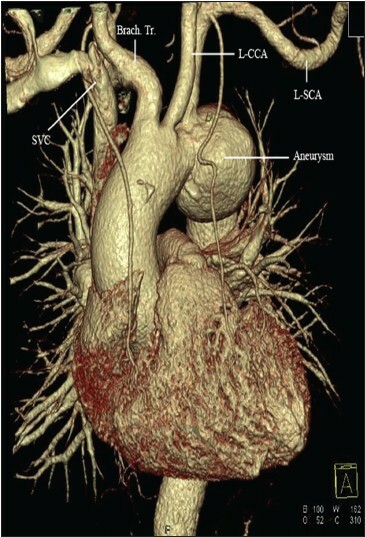 64-year-old man was diagnosed with saccular aneurysm at the distal aortic arch [Figure 1]. Aorta was debranched after ascending aorta to brachiocephalic trunk, left common carotid artery and left subclavian artery bypasses. 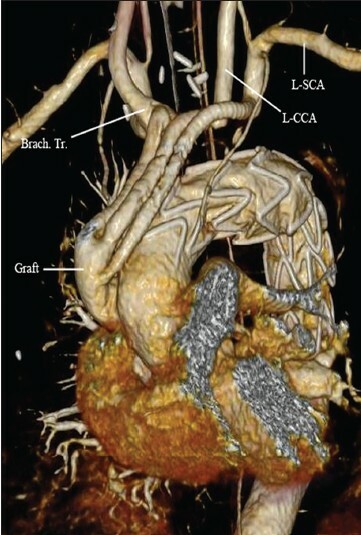 Aneurysm was excluded with an endovascular stent graft positioned at the aortic arch [Figure 2].